Ever since I worked at The Chopping Block, I’ve become obsessed with faux wood grain. 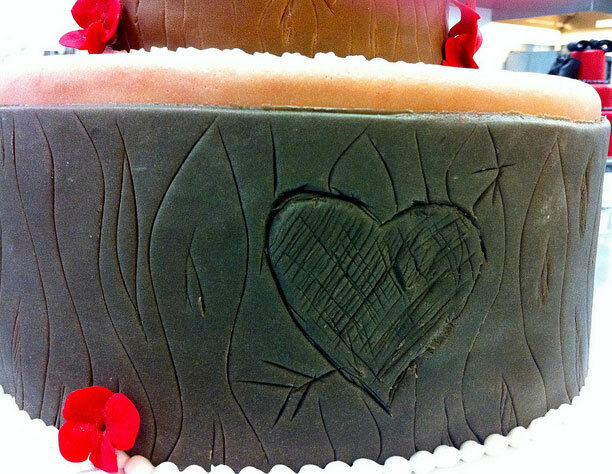 I’ve always wanted to make a cake that looked like chopped wood. This cake is actually a 9 inch styrofoam dummy, a 6 inch vanilla and vanilla buttercream cake and another 3 inch dummy all covered in fondant. I used to have one of these great impression mats that had the faux bois in it. You roll out the fondant on the impression mat and then put it on the cake. Well, I lost it. It’s clear plastic and very easy to lose. 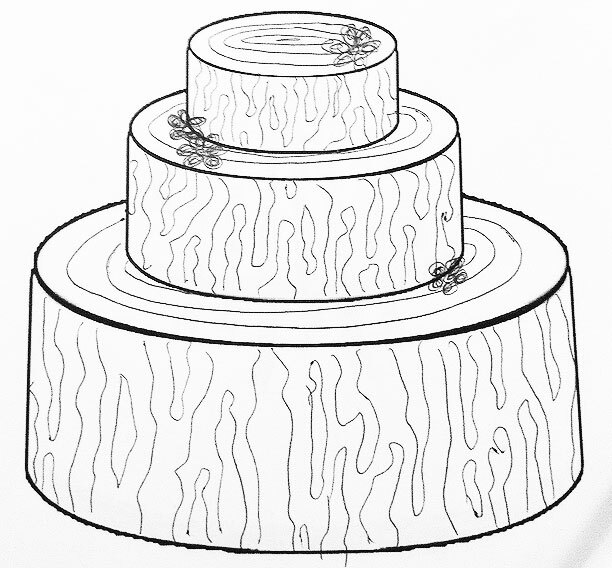 So I decided to hand draw the pattern on the cake. My first attempt I used a tool that looks like a spear so the edges were a bit rough. But the other 2 tiers I used a mini rolling tool that looks like a tiny pizza cutter and the results were far smoother. I also carved hearts into the “wood” for an extra bit of charm. I finished the cake off with hand-made red flowers, gum paste buttons and a band of royal icing around each tier. 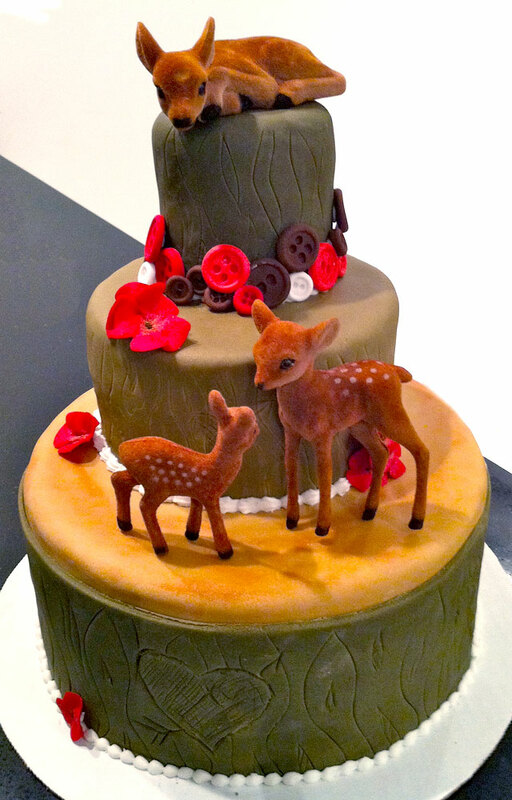 Then I found these adorable deer and decided they would be the perfect adornment to this adorable woodland cake.